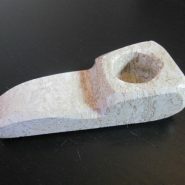 Cool handmade black and white stone smoking pipe for weed. Home > Shop > White black color stone smoking pipe for weed. 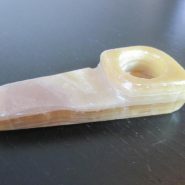 White black color stone smoking pipe for weed. Cool white black colors onyx stone weed smoking pipe 3.5" long. with free pipes screens. on sale Now! stone Pipes smoking can be an extremely rewarding hobby for those with the patience to learn it. good for dabbing wax.